Only one like it! 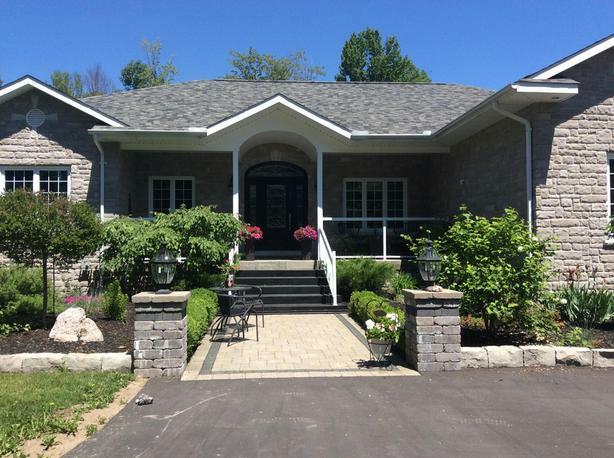 This beautiful 5 bdm custom, Executive home showcases top-line materials and well planned details in design. Massive master bedroom offers FULL ensuite PLUS extra large shower. Heated floors and huge windows throughout. Floor to ceiling fireplace, hand scraped engineered hdwd in livrm. Granite counters, travertine floor tiles, cherrywood cabinets inc island, 3 compart sink in kit. Spacious open concept kit, din & liv rm. Lower level has 2 sep staircases to mn flr. Back has Florida rm, western red cedar deck that flows to stamped conc deck & custom stone pizza oven. 7' safe & sound doors (solid core), custom staircase has steel stringers & milled maple treads, 9' ceilings with cath ceiling in grt rm & inground sprinkler system. Full list of features, plans and heat costs in documents on Paragon.